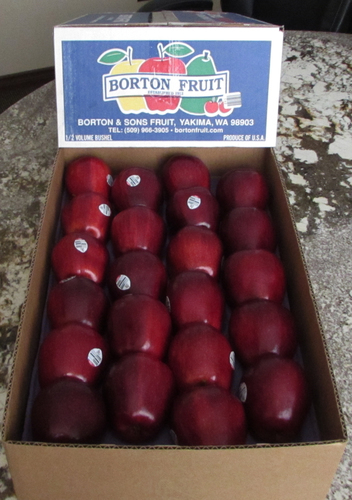 Yakima, WA – Borton Fruit’s new Half Carton has officially arrived and hit production. 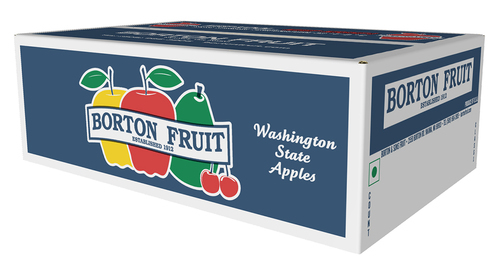 This new carton features our updated Borton Fruit branding, highlighting Borton Fruit as the premium supplier for apples pears and cherries. 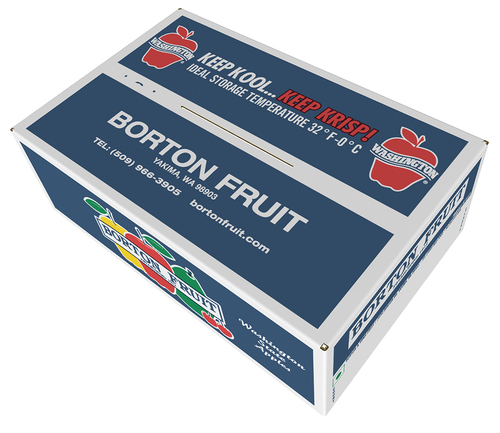 This Borton Fruit Half Carton measures 20”L x 7”H x 13”W and offers two layers of fruit, allowing more efficient handling throughout the shipping and receiving processes. With great durability and an alternative to traditional standard carton size, this pack can be utilized in many ways. 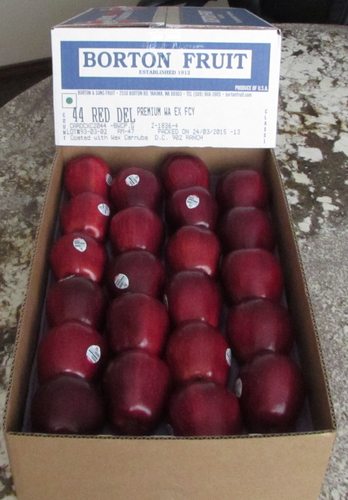 It is a great way to merchandise core apple varieties. 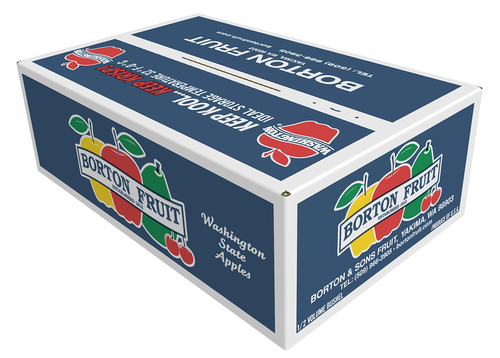 Its size allows for unique marketing of larger sized fruit that can be handled more efficiently in a smaller format package. In addition, it is a fantastic option for merchandising niche varieties and specialty varieties as well. Contact your Borton Sales Representative today for availability!